Feel like a little Mommy madness, head on over to Lifetime. Lifetime Networks today announced the results of its initial FemiNation Poll, marking the launch of an ongoing research project on the attitudes of America’s women. — Almost all moms indicate that they often make sacrifices for their family (95% total with 59% saying frequently and 36% saying sometimes); and the majority of working moms (59%) find it difficult to balance being a mom and their job. — The majority of mothers “don’t want, need or expect anything from their kids on Mother’s Day” or would be satisfied with a simple “Thank you” (73%); however, most of them are optimistic about getting something special: 82% expect to get a gift of some sort from their kids, and a mere 15% doubt their kids will get them anything at all. — Roughly nine-in-10 of “empty-nest” moms (88%) are at least somewhat confident that they’ll get a call from their kids who don’t live at home any more. Since Mom deserves a gift, the most desired Mother’s Day gift (after a card) is “a day of no chores or responsibilities.” This tops jewelry by a 5:1 ratio. — The #1 most desired Mother’s Day gift among moms is a card (17%) followed closely by “a day of no chores or responsibilities” (16%). 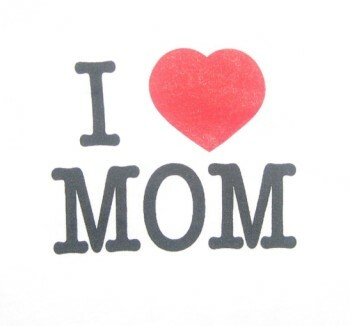 Only 3% actually indicated that jewelry is what they’d most like to get from their children on Mother’s Day. “Dinner at a nice restaurant” ranks as the #1 most desired gift that married moms would most like to get from their husbands (19%). — Perhaps not surprising that women just want a day off from housework, the survey also shows that moms are still handling the majority of household chores: 36% state their husbands do about a third of the chores and 47% say that their husbands do less than a third or none. Roughly 16% give credit to their husbands for doing most of the household chores. Moms just want a break. — When thinking about their ideal day, most moms would rather relax at home (55%) than have a night out on the town (10%). Despite their hectic lives, over three-quarters of moms grade their performance above average. Moms today feel that their job is harder now than it was for their mothers. — Most moms grade themselves as above average for their “over-all performance as a mother.” 55% give themselves a “B”, while 23% feel they deserve an “A”. — The majority of moms feel that being a mother today is harder (52%) than it was for their moms, compared to 17% who think it’s easier to be a mother today. Lifetime continues its celebration of moms with “Mommy Madness,” returning for its second season May 6 with 12 new episodes. Angela Hoover, a mother of two living in Las Vegas, shares tips, thoughts and humor amidst the madcap chaos of working from home, balancing family finances, feeding her kids and more. There will be an entire section of Lifetime’s website dedicated to Mother’s Day which will include gifts, crafts and party ideas to celebrate the holiday, secrets on having a good relationship with mom, and photo galleries featuring celebrity moms. MyLifetime.com will also offer several sweeps to help mark the special day: a Mommy Madness Giveaway for a chance to win $5,000; a Celebrate Mom Photo Contest for a chance to win a spa getaway for two and $1,000 (plus Applebees Gift Cards for the runner-ups); and an astrology sweeps for an opportunity to win a free mother-daughter reading.